The appliances repair technician you get from one company can be completely different than the one you get from another. Do not play roulette when trying to choose the right technician to service your home appliances. Choose one of our professionals and you will always get a technician that is dedicated to their craft. Our tech will always treat you, your appliances, and your home with respect. We offer same day service at very reasonable rates. You will not find a friendlier or more capable appliance technician in Ajax, Ontario. We do not hide the fact that we place a high emphasis on customer service. 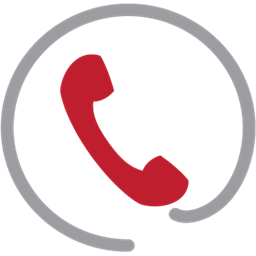 At Ajax Appliance Repair we believe that hard work, quality results, and service with integrity still mean something in the business world today. Our technician will always bring a warm smile and plenty of quality spare parts to every job to ensure the most efficient service experience feasible. We do not charge extra for the smile. In fact, you will never find any hidden charges or fees in our invoice. 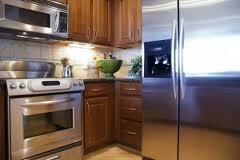 But you will get an appliance service technician that is honest, able, and truly cares about your appliance. 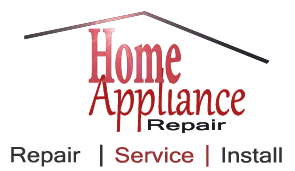 We offer complete care for home appliance repair. You need your washer and dryer to operate effectively so you can keep clothing and other materials clean and fresh. Our technicians have worked on all laundry room makes, models, and brands at one time or another. We have fixed many leaky washers and replaced a lot of belts and heating elements in dryers. When you need a qualified kitchen appliance technician, we are the number one choice for quality results. Whether we are changing a thermostat in the fridge or fixing a gas leak as part of our gas oven repair service; we always work hard for you. When you need a certified Ajax appliance technician to administer same day service with a smile, give us a call. You will not find a more dedicated group of professionals anywhere in the area. Ajax Appliance Repair is always there when you need us the most. Appliance Repairs Ajax Ltd.© All Rights Reserved.